Trump bought the car new in 2007 and registered it to Trump Tower. Of course he owned a bright red Italian supercar. President Donald Trump’s former 2007 Ferrari F430 F1 Coupe left the sale block before meeting reserve at auction on Saturday in Florida. Bidding on the car stopped at $240,000, $10,000 below its low estimate. Hours later, the auction house issued a statement saying "we can confirm it exchanged hands just minutes after it left the podium" for a final sale price of $270,000. The company did not say who purchased the vehicle and offered no further details about the off-the-record sale. Were it the hammer price, this would have been the most paid for an F430 Coupe with semi-automatic transition at auction. It had been expected to take as much as $350,000. Prices can vary widely on this exotic V8, 490-horsepower stallion. 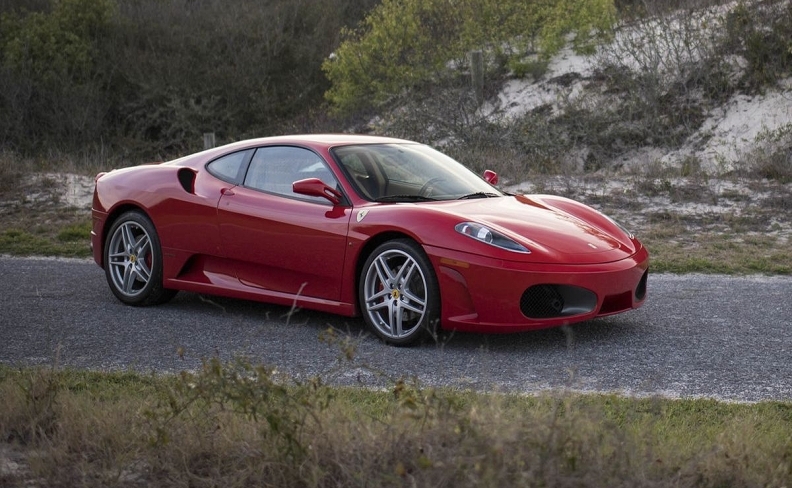 RM Sotheby's sold a 2008 Ferrari F430 GTC for $490,310 in January in Paris; a 2008 Ferrari F430 Scuderia sold for $182,600 at a Motostalgia sale in Amelia Island, Florida. And Sotheby's sold a yellow 2007 F430 Spider for $357,500 in 2016. Other F430s in various conditions can found online, for as much as $234,500 and as little as $121,000. Pristine, low-mileage versions -- especially those with manual transmission or special craftsmanship -- hold value better than lesser examples. Trump’s included Daytona-style seats and Scuderia crests on the fenders; it had yellow dials, a radio with a CD changer, and a carbon dash insert. Other Trump-owned cars have fared better at recent sales. Trump's Cadillac limousine took $68,261 at a Bonhams sale last month in England. The total was four to seven times the average value of an American limo from the same era, according to Hagerty data. His Lamborghini Diablo took $460,000 in September last year -- on EBay. That was 75 percent higher than today's current average price for Diablos. The low price could have been affected by the fact that the car belonged to a "polarizing" president who used it himself, said Jonathan Klinger, a spokesman for Hagerty. “The appeal is slightly lower than if [bidders] were buying the car directly from Trump,” Klinger said. In fact, most sales of presidential memorabilia come after a former chief executive's death. Last year, a pair of cowboy boots owned by Ronald Reagan carried a high estimate of $20,000 but sold for $199,500; a concrete shard of the Berlin wall signed by Reagan sold for $277,500. It had been expected to take $20,000. Saturday's results also add evidence that the F430 is not necessarily a superior investment, something the vintage car market has shown for some time. Average values at auction for this model have fallen 15 percent over the last five years, according to Hagerty, hovering near $120,000 to $130,000 for a car with an F1 (paddle-shifter) gearbox. The original MSRP ranged from $185,000 to $215,000. The gearbox is key to holding value, Klinger said, specifically whether a car has a true manual transmission vs. the six-speed paddle-shifter in Trump’s Ferrari. “I would expect the cars with the F1 gearbox, like this one, to continue to depreciate for the near future,” Klinger said.